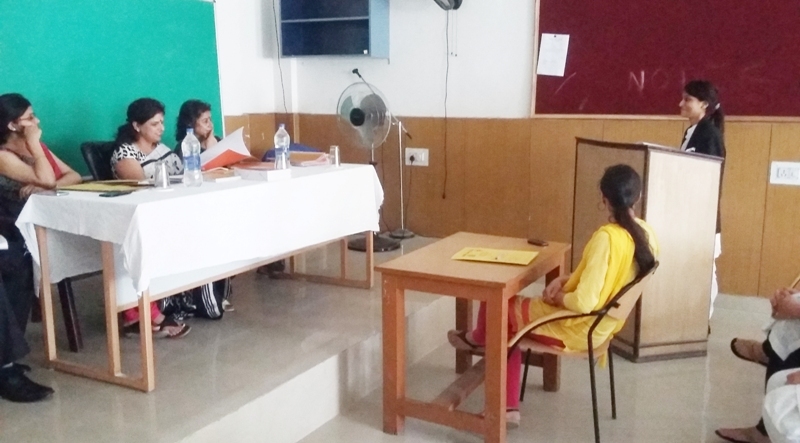 JAMMU 16th May 2015: The Management and the faculty of Dogra Law College today organized a Moot Court for 10th Semester students to acquaint them with the spirit of constitutional reasoning and advocacy. Fifty three students participated in this event. Advocate Sh. 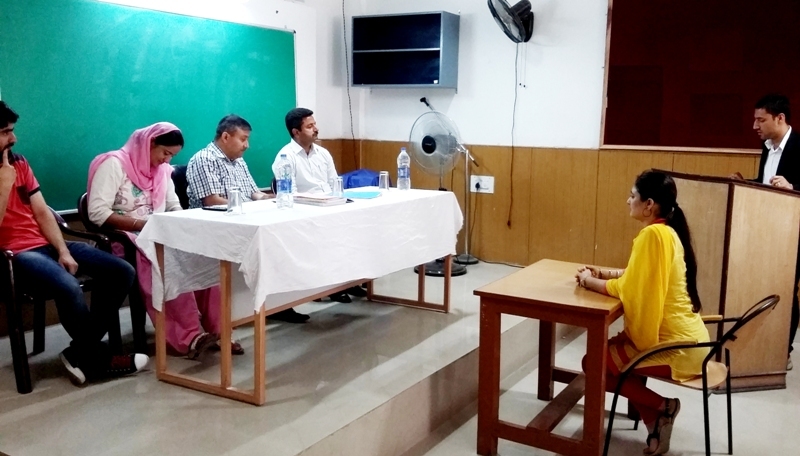 Sheikh Shakeel and Advocate Mrs. Monica Kohli presided over the Moot Court and evaluated the students. Hon’ble Secretary of Dogra Educational Trust, Th. Samar Dev Singh Charak and Mrs. Gurmeet Kaur, Principal DLC, also presided over the event and pressed on the importance of moot court for law students. The moot court was convened by Ms. Komila Aggarwal, Faculty of DLC. Other faculties were Sumiksha Razdan, Sonia Gupta, Sparshika Jain, Shveta Gupta, Etika Gupta, Preeti Slathia, Pavita Badyal, Sajid Sheikh and Mohinder Singh.